ISLAMABAD: A rather frantic National Accountability Bureau (NAB) on Saturday literally “begged” the Islamabad High Court (IHC) that the petitions, filed by ousted prime minister Nawaz Sharif, his daughter Maryam Nawaz and her husband Captain (r) Safdar, seeking the deferment of Avenfield reference verdict, were not maintainable and so should be dismissed. “NAB begs with all humility that the instant writ petition is not maintainable before this Hon’able Division Bench,” NAB Deputy Prosecutor General Sardar Muzaffar Abbasi stated in one of the comments filed against Sharifs’ petitions before the IHC. 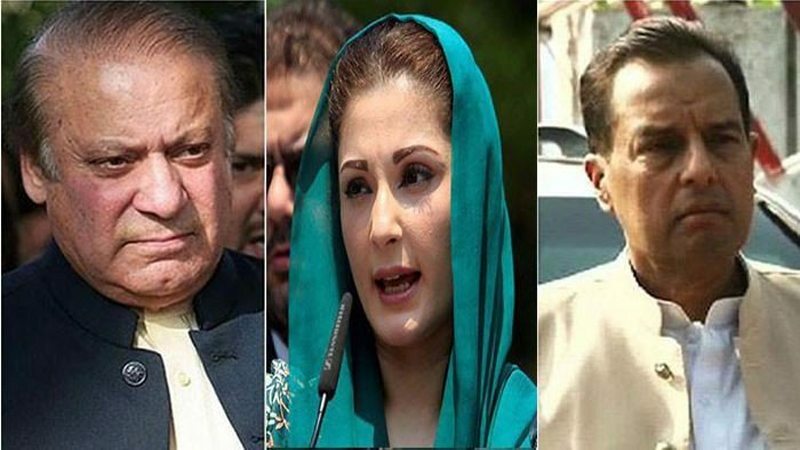 The NAB prosecutor said that Sharifs were convicted in the Avenfield Apartments’ reference by the accountability court on July 6 on the basis of “conclusive presumption”. “The irrefutable and conclusive presumption for the purpose of establishing conviction has been essentially adhered [to] by the Learned Accountability Court,” he stated, adding the judgment, in lieu of the circumstances of the case, did not merit to be suspended. While raising objections on the formation of the division bench, Abbasi said the division bench formed to hear the writ petition was the sole prerogative of the high court’s chief justice but the petitioner was required to make such a request to the chief justice. In the present matter, he said, no such exercise has been done by the petitioner, therefore, “NAB begs with all humility” that the petitions are not maintainable before the bench. NAB termed most of the petitioners’ contents in the petitions “controverted”. The NAB prosecutor further maintained that documentary evidence adduced along with the ocular examination duly recorded by the trial court emphatically established the prosecution case, adding each and every objection on the receivability, relevancy, production and admissibility of documentary evidence had been clearly stretched by the trial court.